Liquid Keratin hair straightening is a powerfully effective hair treatment you can use at home instead of having to go to the hair salon and spend an excessive amount of money on pricey keratin treatments. In addition to your regular dry skin and moisturizer cream regimen at home, you can now add Liquid Keratin to your face lotion and hair routine. 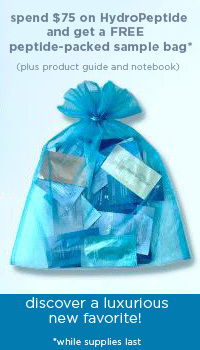 Liquid Keratin is a pure protein fraction taken from chaste wool from New Zealand. 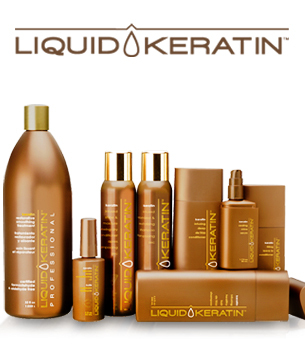 DrSkinSpa.com is an Authorized Retailer of Liquid Keratin. All Products are Guaranteed Authentic & Fresh. If you’re not happy with the condition your hair is in, you can be assured that Liquid Keratin will come to your rescue.If your hair is frizzy, difficult to tame, and you have dry skin and hair to boot, Liquid Keratin makes a wide variety of products to suit your needs. Read more.. Liquid Keratin hair straightening is a powerfully effective hair treatment you can use at home instead of having to go to the hair salon and spend an excessive amount of money on price keratin treatments. In addition to your regular dry skin and moisturizer cream regimen at home, you can now add Liquid Keratin to your face lotion and hair routine. Liquid Keratin is a pure protein fraction taken from chaste wool from New Zealand. These fibrous proteins and peptides each have molecular masses that allow for the development of protective films on the hair’s cuticle exterior. Adding Liquid Keratin hair straightening to your face lotion, moisturizer cream, dry skin, and routine hair regimen will nourish and replace damaged hair, especially hair that has been chemically treated.Clinical laboratory studies have proven Liquid Keratin to enable hair to be stronger, grow longer, be shinier and have 100% less frizz than before.And Liquid Keratin hair straightening accomplishes all of this without using formaldehyde or any other dangerous chemical ingredients.Just as you wouldn’t want your face lotion or daily moisturizer cream to have harmful side effects on your body, so should you also be taking a look at what is inside the hair treatments you use regularly. You can find a variety of products for your dry skin.In fact, moisturizer cream and face lotion for dry skin and other conditions is easy to discover in the many dermatological shops and web sites that abound.But it isn’t so easy to find as powerful a product for your hair as you can with Liquid Keratin!Once your hair is treated with Liquid Keratin, you’ll find that it’s easier than ever to style, and the treatment itself is quick and easy. The Liquid Keratin hair straightening Sealing Shine Serum makes your hair shiny and strong just as moisturizer cream or face lotion seals in hydration for dry skin.The Liquid Keratin Shine Serum fills the hair with liquid protein and prolongs the benefits you’ve already gotten from using the Liquid Keratin 30 Day Treatment.This powerful Liquid Keratin Sealing Shine Serum will work like a moisturizer cream for your hair, working within the hair follicles and making them stronger.It’s free of parabens or sodium chloride.The serum is placed on dry hair, not wet, and left on for a long-lasting shine. If you are considering seriously conditioning your hair, treat it as though you have dry skin that begs for hydration with Liquid Keratin Conditioning Oil with Argan and Baobab Oil.Add this to your beauty regimen along with face lotion, moisturizer cream, and cleansing lotions for a complete new look with shiny, healthy hair.This Liquid Keratin Conditioner also contains vitamins and antioxidants for the health of your hair.